3* Ski Double Room There is 1 product. April Ski Package Deal Siegi Tours 2 days accommodation with shower / WC (Sun - Sat) in a Siegi Tours Partner Hotel Half board with Austrian breakfast buffet & evening meal (salad buffet & 3 course menu) Siegi Tours Ski & Board School ( incl. 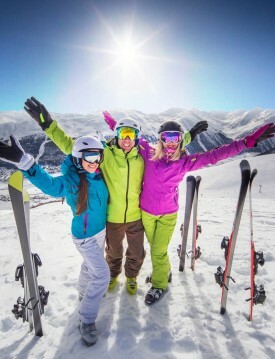 1 hour of private lesson) Unique Siegi Tours Entertainment at the Rustica Stadl Special rates: Lift Pass, Rental..